Tween Tuesday is a weekly meme where I highlight great tween reads. 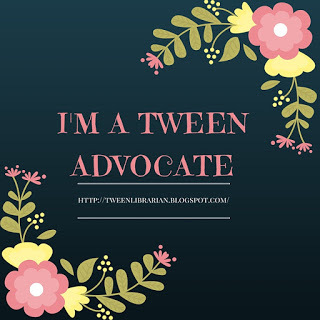 Leave your Tween Tuesday link in the Mr. Linky below! About the Book: It's almost the day of Princess Patricia Priscilla's sixteenth birthday ball-the day the Princess will be asked to choose a suitor. But the princess is bored. So she decides to disguise herself as a peasant and go to school for the week. Princess Patricia Priscilla loves school and she's not looking forward to her birthday ball-especially when she finds out who the suitors will be! Will Princess Patricia Priscilla find a way to end her boredom and marry a man she loves? GreenBeanTeenQueen Says: I grew up reading the Anastasia books and The Giver. The Birthday Ball reminded my why Lois Lowry is one of my favorite authors. Ms. Lowry takes on the fairy tale genre and there's such a wonderful blend of humor, heart, and romance. Princess Patricia Priscilla could have been a snobby rich princess, but instead she's a girl who is trapped and you can't help but feel sorry for her and understand her need to escape and try something new. She really is a endearing character and I was cheering her on the whole time. The book starts out with chapters introducing multiple characters, but the characters come together and it's a very fun romp told with Ms. Lowry's wit and tongue in cheek humor. The three suitors for the princess are hilarious-there's a prince who is horribly ugly, but mirrors have been banned in his kingdom, so he doesn't know his fate, there's a prince who thinks he is the most handsome prince and must look in a mirror at all times, and there's the conjoined twins who fight all the time but share a love of bathroom humor. At first I wasn't a fan of the chapters introducing the various princes, but I think the prince's stories save this from being a very princessy book that will appeal to only fairy tale readers. With the princes stories woven in, I think there's a wider appeal (although it might be hard to sell a book with a princess on the cover to boys). All the characters come together in the end for one of the most delightful balls I've read about. I think The Birthday Ball would make a great read-aloud for parents and children as well as classrooms. The book may be marketed for tweens, but I would recommend this one for any age reader who loves a good fairy tale. Ms. Lowry shows us why she is one of the best children's authors around. I loved this book too. I think it's a wonderful book and tweens will love it. My lil cousin who saw me reading it on the PC (got thru NetGalley)asked me to read it with her and she thoroughly enjoyed it. So did I .. I love Lois Lowry, this will be one I have to check out! I just read this as well. Such a fun book! This sounds like a lot of fun! I have read and enjoyed two of Lois Lowry's books, and I like fairy tales too.